A vital factor in internet search rankings is social media optimization and while this is so important, it is also the most overlooked part of majority of the companies. There are 2 search engines for which you have to optimize in the social media, first, the search function within each social media network and second the Google search. When you optimize for either search engine, there will be some direct or indirect benefits which you should take into account. If you’re not aware of the benefits of the social media efforts that you put in, here are some social media optimization tips that you may consider. You should always integrate social sharing tools within your site architecture. You may include direct web links to the social media channels from your company website and from the social profiles linking them back to your site. How about adding social media sharing buttons to blog posts? 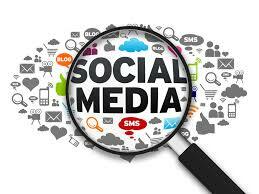 Social media links are high quality links as social sites usually have a high web authority. Facebook has got an overall high authority and if your Facebook page is new, it will still rank well in SERPs. Do you want maximum exposure of your social media profiles? If answered yes, keywords will play a strong role. In case you are not optimizing your profiles in the right way, you are not making the best use of the money that you invest. Target key phrases and structure keywords in the social profiles in a natural way. Don’t make it look spammy as that will have an adverse impact on your SEO efforts. The social signals are a vital factor in SEO as the search engines usually watch out for social signals and they factor how often you post on the networking sites. How people interact with you and how often you are present to communicate with them real-time is also taken into account by the algorithm. Get out on the social media and take part in conversations, keep interacting with your customer base and share good content. Facebook canvas ads are also something that can be used. Therefore, if you’re eager to rank higher on the search engine result pages, make sure you follow the above mentioned social media optimization tips to get better results out of your efforts. Check out more about social media tips here.